Science is one of the main engines of the progress. All current achievements are the result of work of a huge number of researchers and scientists. Technical Sciences terms such as technology, engineering increasingly began to be used in the framework of modern biology. The speed and effectiveness of biological research has increased significantly, and the practical possibilities of biology became really enormous. Scientific leaders even express an opinion on the accession of mankind in an era of biology. In fact, biology was the science of living nature for a long time, it was of mainly descriptive designation in order to accumulate factual material and systematize living organisms inhabiting the Earth, but at the moment it is becoming an experimental science. It exerts increasing influence on the development of human society and its productive forces. An essential attribute of the scientific work is the continuity and exchange of experience. Absorbing material accumulated over many years of development, one can come to completely new discoveries. Not just reading and studying scientific literature allows enriching knowledge. Direct communication and contacts with representatives of the scientific world is also an important element of biotech 2017 progress. Direct exchange of experience takes place at special events such as a biotechnology conference 2017 or a council of researchers. Here you can share your experiences, achievements, discoveries and other interesting facts. 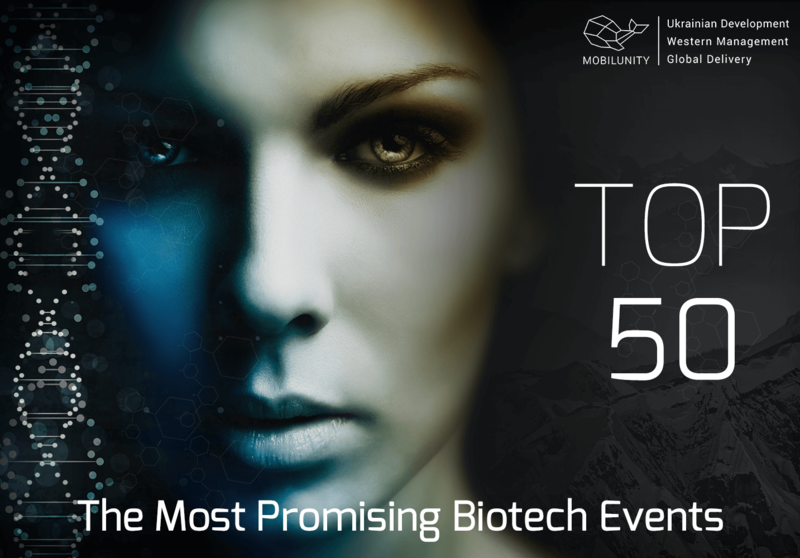 Other participants will listen to you, appreciate, give advice and push on further biotech web or mobile development of your work. With the participation in the conference biotechnology 2017 you get the opportunity to publish your work in a book or a scientific journal. BIO Legislative Day Fly-In in Washington D.C. Cell & Gene Exchange 2017 in Washington D.C.
Don’t forget that attending such events provide a great possibility to meet usefull people and companies. For example, if you are searching for dedicated remote developers for your startup, you are always able to apply to Mobilunity outstaffing and outsourcing company in order to receive qualified help. Get in touch with our Account Manager to learn more details on hiring the remote developers for biotech business!